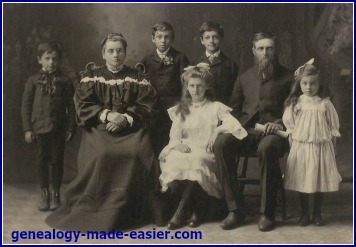 Census records and indexes are critical to finding members of your family tree! Here's help in finding and using the census records and indexes available to add much information to your family tree. Census records and indexes are only the most obvious places to check for your family history. However, all enumeration data, not just the formal census data, can be extremely valuable in your family history research. If your family is from Canada, you will want to check the Canadian lists beginning in local tax and assessment rolls in the early 1800's. The latest Canadian census to be released is the one done in 1921. The US census records began in 1790 with the most currently released one being that for 1940. 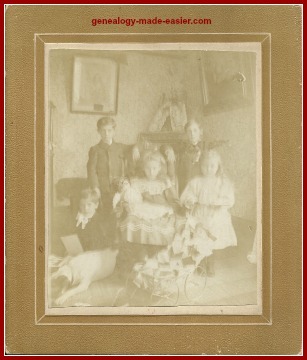 Not all enumeration records are national, so don't neglect the possibilities for finding enumeration information in genealogy resources in the areas where your ancestors lived. Additionally, many local governments did various types of counts of their citizens at various times too, adding to the collection of information about early residents. There are many census record locations for the information that you need for your family tree. You are going to need a lot of organization to aid you in keeping track of all your census searches and their results. You will need to use a variety of forms and charts to organize the data you have found, what you need to find, where you have looked, where you still need to look, and so on. You may find you need to know what the questions were on each census. Perhaps you need to make forms for transcribing the census records, or you are just curious as to what the government asked in certain years. Many sources for using census records include some sort of indexes to facilitate finding a particular individual by name. If there are census indexes available, use them! Working with census records and indexes is both rewarding and frustrating. The thrill of finding ancestors and their families on a page is very exhilarating. The agony of not being able to read the microfilm page you need is excruciating. A judicious use of the various enumeration records can make or break your chances of finding an ancestor in your family searches.